If you know me well at all, you know one of my least favorite foods is tomatoes. Sure, I like things made with tomatoes like spaghetti sauce or ketchup, but I don’t like fresh tomatoes. They’d be the last thing you would ever find in my house. But guess what? You’ll now almost always find tomatoes in my fridge. Why? 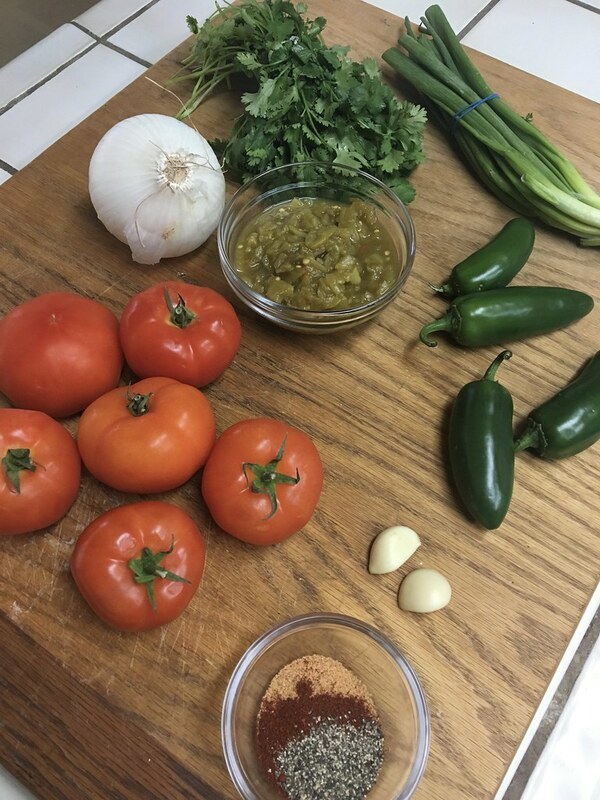 Because I’m addicted to making fresh salsa. 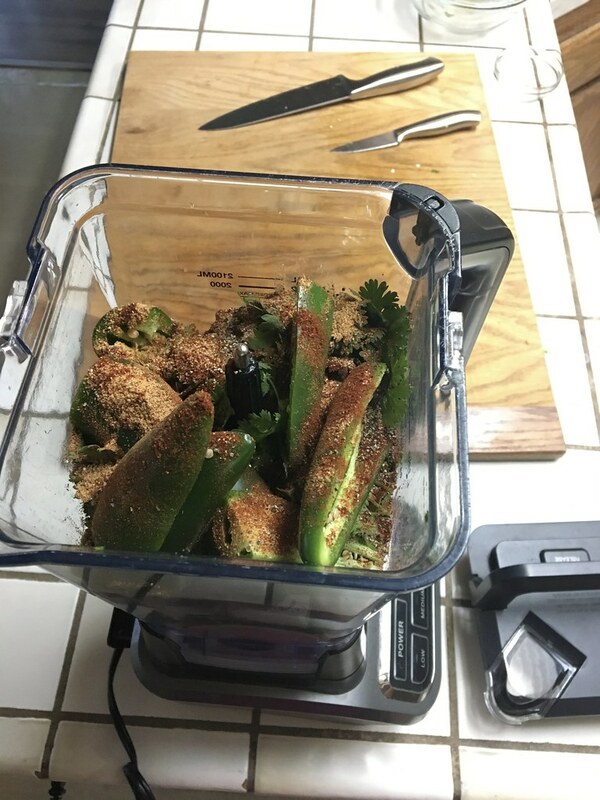 I’ve always loved fresh, homemade salsa over the stuff in the jar but (as silly as this sounds) the idea of handling jalapeños has held me back from making my own. Lame, I know. 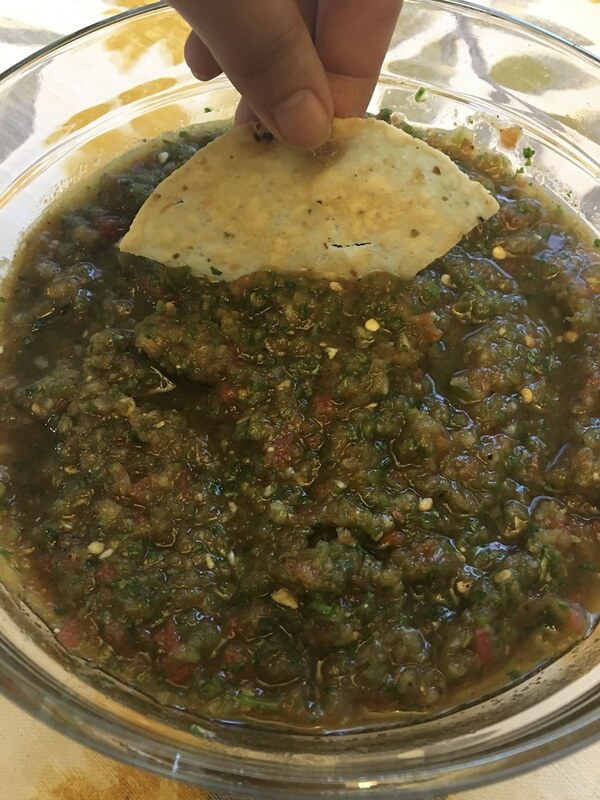 It wasn’t until a couple coworkers brought in their homemade salsas that I was determined to make my own. 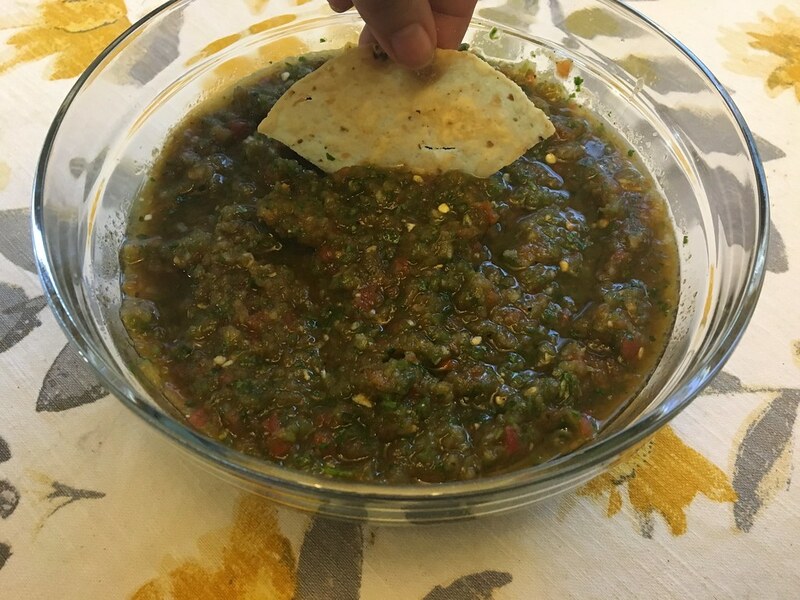 More than anything I craved the fresh homemade salsa my in-laws would make on occasion, so I bugged them for the recipe. The recipe they provided was a very loose one designed to be made by taste. I am an exact measurements kind of gal, so I perfected the right amounts that work for me. Their recipe was also more chunky, like pico de gallo. I like my salsa like I like my margaritas: blended. Step 1: Prep your ingredients. Step 2: Add everything to a blender or food processor. Step 3: Serve with chips (Sabor Mexicano Home Made Chips and Casa Sanchez Thin & Light are my favorite) and enjoy! And yes, even in November I am making this. That’s a great recipe. I love the chunkier salsa, but I’d definitely try this. I’ve also never put green onions or green chilies in mine so I will be adding this to my queue. I never thought about doing that either until I got the recipe, but it’s really yummy!